China’s development of military drones could lead to an artificial intelligence arms race and an accidental war, a report has warned. 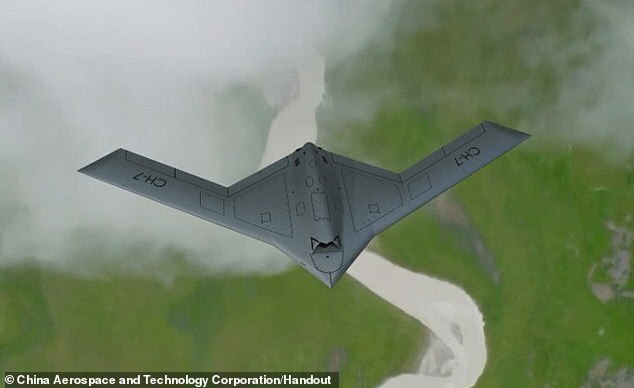 Beijing has developed a deadly unmanned drone bomber and a stealth combat drone in recent months, which could be deployed without humans pressing a button. A report by a Washington-based think tank has warned that drone warfare would ‘lower the threshold of military action’ because fewer humans were at risk. The drone technology would work ‘just like the brain of the human body’ in wartime, the research by the Center for a New American Security found. WNU editor: China may be pursuing these weapon systems, but they are concerned …. China is worried an AI arms race could lead to accidental war (Verge).